When it comes to adding energy curtains (sometimes referred to as thermal blankets) to a greenhouse everyone focuses on energy savings. 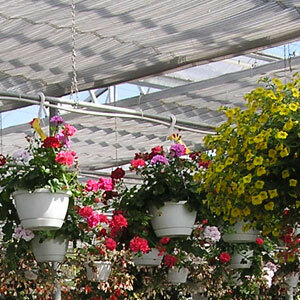 And certainly energy savings should be a major factor in any greenhouse grower’s decision to purchase energy curtains. 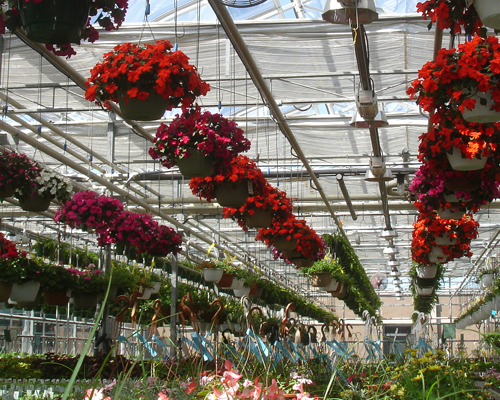 In northern climates, winter growing adds expensive heating costs to the most diligent greenhouse operation. A well designed and properly installed energy curtain can reduce winter heating bills by up to 50% and in some cases more. In turn energy curtains when used properly in hot summer weather can cut back on electricity needs from fan venting, and help maintain higher night time temperatures when the sun goes down. But there are 5 other considerations worth adding to your analysis when considering the value of an energy curtain in your greenhouse. 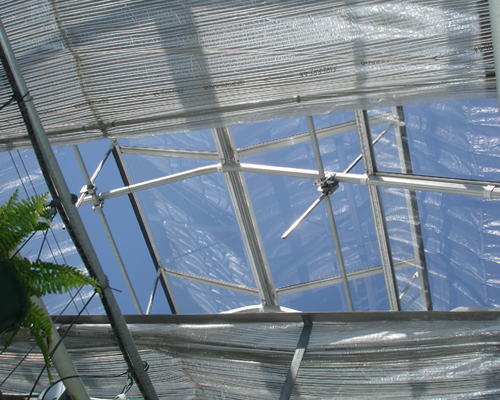 When used properly in conjunction with roof vents, an energy curtain can help balance humidity in the greenhouse by allowing fresh cool air in, while still providing a physical barrier to prevent the cold air from dropping to the crop. Learning how to control the curtains as part of your total environmental control is essential. If the curtain needs to be closed and humidity levels are too high, then opening the curtains a crack and opening your windows will help lower humidity. 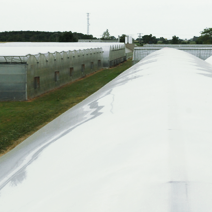 The flexibility with energy curtains allows growers to shade when the plants need it. By using your greenhouse curtain system to adjust light levels as well as temperature you have one more tool for providing the ideal growing environment for your specific crop. When working with your greenhouse design team to layout the greenhouse curtain system make sure you don’t miss this aspect of environment control, and set your zones according to the differences your crops may need. Getting rid of the peaks and valleys in a winter day’s temperature range will most certainly improve the bottom line as far as reducing heating costs. And that is only the beginning. Daytime temperature fluctuations may be causing your boilers to perform lower than expected, which reduces boiler efficiency and affects maintenance costs and lifetime use of a boiler. These rapid temperature changes also add stress to your plants. So by properly timing the opening and closing of an energy curtain with environmental controls that measure outside & indoor temperatures against desired growing temperatures, you can even out the peaks and valleys and provide a smoother temperature transition for healthy plants. In many parts of the United States and Canada and in Europe, energy savings is high on government agendas. Get involved with your local chamber of commerce, and your regional, state, and provincial government, and learn what rebates, and tax saving incentives are available for energy efficient upgrades. 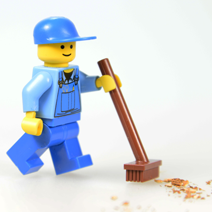 If there is money available to help you improve your business, then knowing what your options are will help you make smart decisions. When considering the ROI for an energy curtain or any other capital investment, including an assessment of the future makes good sense. Take a look at your energy bills for the last 5 years, and consider trends. How has your price changed? What has your average usage been? If you had a mild winter and dramatically reduced your heating expenses, also consider the harsher winters, because the future will have both. 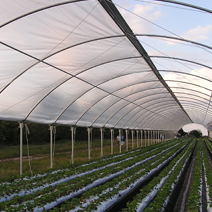 Thermal energy curtains are only one consideration that modern commercial growers have available to assist in providing the ideal growing environment for the crop. 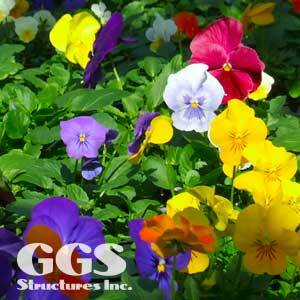 Additional curtain considerations like shade, or blackout (light deprivation), or double and triple hung curtain options, and truss to truss vs gutter to gutter operation, can also be discussed with a GGS greenhouse specialist. If you have any remaining questions about greenhouse curtains contact us now for a free individual consultation.